Dog Medo from Peroj near Pula, Croatia boasts to be the only dog ​​in the Croatia with prohibition of barking. Court banned barking from 8 pm to 8 am. Only one “woof” costs as much as $4000. This is an interim measure of the Municipal Court in Pula. The unfortunate Medo now spends the night in a house – nervous, anxious and frustrated. Problems with the neighbor, says Medin owner Anton Simunovic, began from the day when the dog came to his family. Veselka Vukotic, whose house is situated about fifteen meters from his, immediately made it clear that she does not like newcomers dog. – I called associations, lawyers … No one has ever heard of a case like ours. 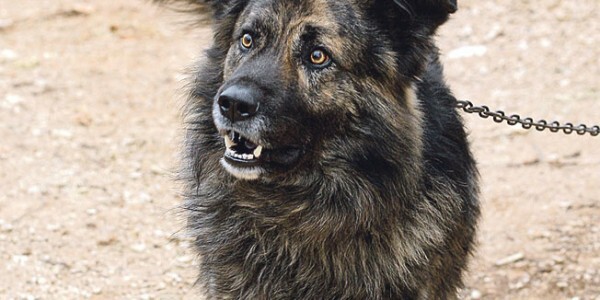 Now we all live in fear – if Medo barked, the penalty is $4000. We know that our neighbors immediately report – said Simunovic.